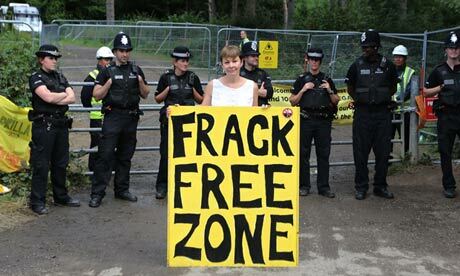 UK: Opposition to fracking strong among women. Sexism? The other parties are worse, says top UKIP woman. For Female Scientists, There’s No Good Time to Have Children … The Atlantic American women are leaving academic science, including the social sciences, in alarming numbers. Many will turn away from science while still in graduate school. Although women obtain more than half of the baccalaureate degrees in the sciences, they receive only 46 percent of the doctorates. Others will drop out of the science pipeline after receiving their Ph.D.s, or when they come up for tenure. Less than one third of Ph.D.-level scientists employed in tenure-track positions at four-year colleges and universities are women; less than one quarter of full professors are women. Liberal Democrats blast environmental damage caused by fracking The Guardian Nick Clegg‘s Liberal Democrats have poured scorn on George Osborne‘s push for a shale gas revolution in the UK, saying the process of fracking has caused extensive environmental damage and water pollution in the US. Asked if they would like to see various alternative types of energyprojects in their area, 60% of people said they would be happy to have windfarms or turbines. By contrast, only 23% are happy for fracking to take place in their area. While views were split fairly evenly among men, with 38% against fracking and 32% in favour, among women the proportion was 51% against and 15% in favour…. `Gender game low politics ‘Tasmania Examiner AUSTRALIA’S most senior woman parliamentarian hopes the country has seen the last of what she calls the gender game used as a tactic in federal politics. Previous postWorld: Saudi in new crackdown on female drivers. Edging out old-timers, female politicians take their seats. Next postUS: GOP Women’s News Edition. Rev. Peterson: A ‘Mistake’ To Let Women Vote. How Nixon Tried to Woo Women.